1. In a non stick pan add 2 tbsp of olive oil. 2. Heat on medium heat and add ginger garlic, stir and let it be pink in color. 3. 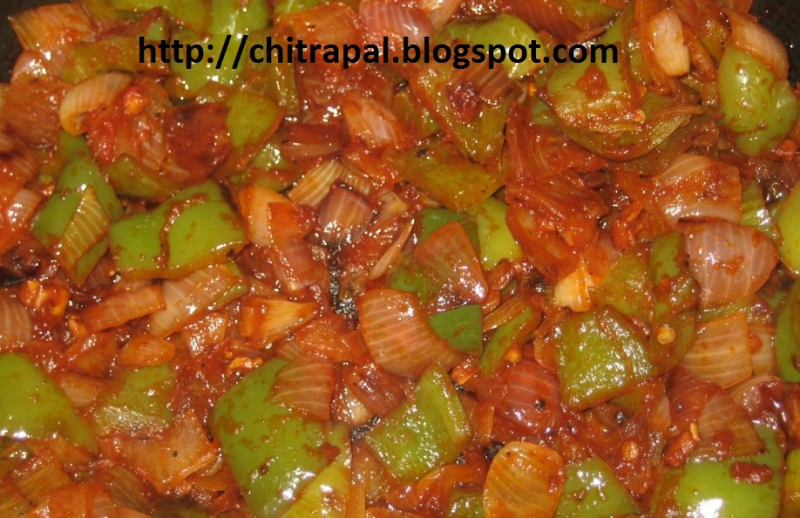 Add Onions and Capsicum and let them cook until little soft but still crunchy. 4. Add Tomato ketchup and taste it. 5. Then add salt if needed. 6. Add Black pepper, red chili powder. 7. Toss and cook for two minutes more. 8. Serve hot on sandwich bun or bread. 9. Treat all vegetarian friends. sounds good.can add boneless chicken tiny pieces boiled to it for non-veg frnds.that will also make dish good tasty.